A $24.4 million dollar traffic fine, an 80,000 pound live load that takes off (literally) for 30 minutes every evening, and a structure that stands up well in the face of war, but collapses in the face of love…what do they all have in common? They all relate to bridges, and the unanticipated loads that they may have to endure. 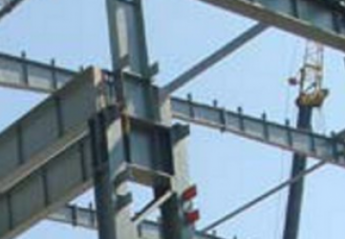 We know that the job of the engineer is not only to design a structure that safely withstands its anticipated loads, but likewise to accurately anticipate those loads. A good design may go for naught if it doesn’t suitably consider the possibility of every load that it may eventually experience. Every list of engineering disasters contains examples of these – situations where the engineer failed to anticipate, for whatever reason, the load that ultimately led to collapse. Whether the cause of failure was stronger than expected winds, excessive flood waters, overcrowding (or otherwise overloading) areas beyond authorized capacity, there are plenty of cases where the actual load exceeded the design load. A few recent examples of this kind come to mind in the area of bridge engineering. For example, in 2011 outside of Beijing, a truck filled with 110 tons of sand drove onto a bridge designed for a fraction of that weight and caused it to collapse. The driver, convicted of exceeding the bridge’s weight limit, was famously fined $24.4 million. Another example occurred in August, 2007 — the collapse of the I-35W Mississippi River Bridge in Minneapolis, Minnesota. Even though the investigation determined the primary cause of the collapse to be under-sized gusset plates, the investigators cited as a contributing factor additional weight due maintenance work, both past (an additional 2 inches of road surface had been added through the years) and present (nearly 600,000 pounds of construction equipment and materials was sitting on the bridge at the time of its collapse). But these overloads, despite being outside of the design specification, were certainly not beyond anticipation. For example, overloaded vehicles seem to be rampant in China. 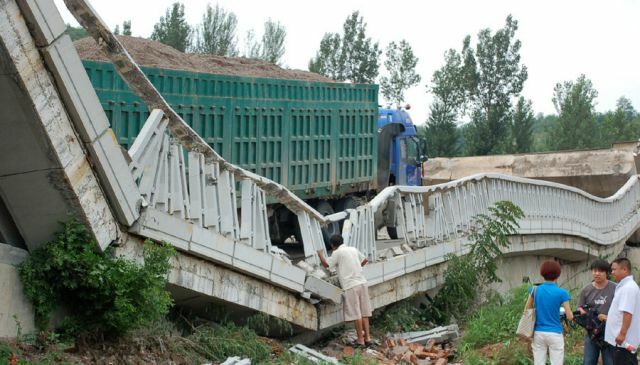 According to the Chinese Ministry of Transport, in the first half of 2011, nearly 1200 vehicles weighing over 110 tons (including more than 200 vehicles over 150 tons) crossed another bridge in China which had been designed for vehicles weighing less than 30 tons/trailers under 55 tons. (Why did the survey last only 6 months? Because not surprisingly the bridge finally gave out, collapsing on July 15 of that year under an overweight vehicle.) And in the case of the Mississippi River Bridge, the additional maintenance loads on the I-35W bridge should not have been surprising, especially when viewed in retrospect. But occasionally a structural load on a bridge has to be so off-the-wall and unexpected that no one can reasonably blame the engineer for not considering it. I came across one such case recently while walking through Houston’s Buffalo Bayou Park: the Waugh Drive Bridge, and its unusual live load – the 250,000 Mexican Free Tail bats which hang off its underside. Curious, I began to wonder exactly how much of an unanticipated load a colony of bats might add to the bridge. Investigating, I learned that the average Mexican Free Tail bat weighs about 0.5 oz, so the 250,000 bats represent an extra 8,000 pounds, plus the up to 5,000 pounds of mosquitoes that they are reputed to devour during their half hour outing every evening…a significant load, but not unmanageable. But that got me thinking of the Congress Street Bridge up the road in Austin, with its even more famous, and larger, bat colony. 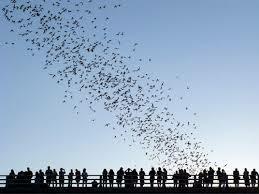 The Austin colony is estimated at 1.5 million bats, which (if they eat as many mosquitoes as do their Houston brethren) could add up to close to 80,000 pounds of bats and mosquitoes (not counting the extra crowd that comes out to the bridge every evening to watch the show). I thought about the implication of an engineer failing to anticipate this load, until I read the signage adjacent to the designated bat colony viewing area. It mentioned that when the Waugh Drive Bridge was recently renovated, it was made more bat friendly by adding crevices to the underside in order to provide a perfect bat habitat. So, I could rest easy knowing that not only was the presence of the bats anticipated, but enhancing the comfort of the bats was actually part of the design criteria. 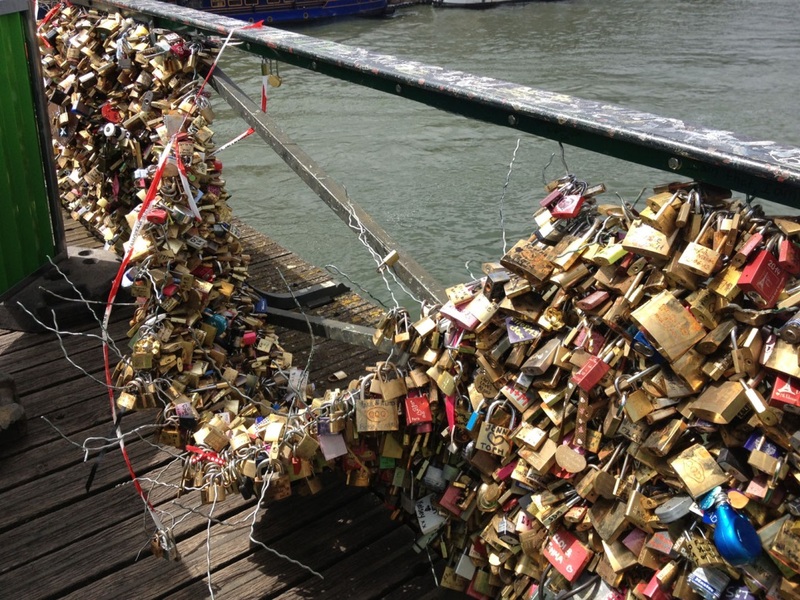 A better example of the effects of unanticipated loads was in the news last month as the French authorities began to remove over a million pad locks from Paris’ Pont des Arts. It seems that Paris had become a victim of its own reputation as the “city of love”. The Pont des Arts, a pedestrian bridge crossing the Seine, was built in 1804, during the reign of Napoleon Bonaparte. 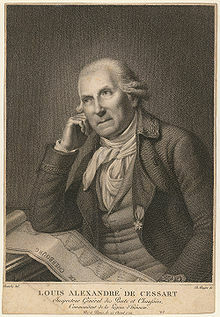 The engineer behind the bridge was Louis Alexandre de Cessart, a very experienced soldier and bridge engineer. Coming from a military background, perhaps anticipating the coming era of the Napoleonic wars, and certainly studying the location of the bridge (right in the middle of a busy river), de Cessart did a great job predicting the types of loads that the bridge would have to endure. The Pont des Arts, which was the first metal bridge in Paris, was built to last – surviving bombings in both World Wars as well as innumerable collisions with boats. But it (or rather the current version of the bridge, for a replacement was rebuilt “identically” to the original in 1984) did not fare so well under a load that de Cessart totally failed to consider. Not surprisingly – it is Paris, after all – the bridge quickly became overwhelmed by the weight of love. Earlier this year it was estimated that over 1,000,000 locks had been placed on the bridge, with a total weight of approximately 90,000 pounds. Last year, this unanticipated load finally exceeded the bridge’s capacity, collapsing the protective railing and fence under the weight. This spurred the local officials to action, removing the current, and banning the future, love locks. Maybe Brigitte Bardot, Serge Gainsbourg, champagne, and Rick’s “we’ll always have Paris” are good images for France, but as far as the locks are concerned, the more level headed engineers rule. As Parisian Health and Safety officials stated, “romantic gestures cause long term heritage degradation and danger to visitors”. But then we engineers have always known that. Want to impress your sweetie with your undying love? Tell her about CloudCalc, the scalable, collaborative, cloud-based engineering software. www.cloudcalc.com – Structural Analysis in the Cloud. ← The Statue of Liberty: the World’s First Skyscraper?